Wow, February has started off mild enough many fishermen will want to be on the water taking advantage of it. Even better, a lot of reports show the fish are biting. North Carolina fishermen are seeing a variety of fin and scale action from the depths of the blue water to the peaks of the Blue Ridge. Yes, it’s February, but so far this winter has been different than last. There have been a few cold snaps, but there have been good fishing opportunities also. The February fishing school and seminar action begins hot and stays that way all month. These are great opportunities for everyone, but those with boats that were winterized and are stored should absolutely be taking advantage of these opportunities to shorten the learning curve. Expectations are there will be at least one more serious bout with cold weather before winter truly breaks. On the nice weekends, go fishing if you can, but be prepared. 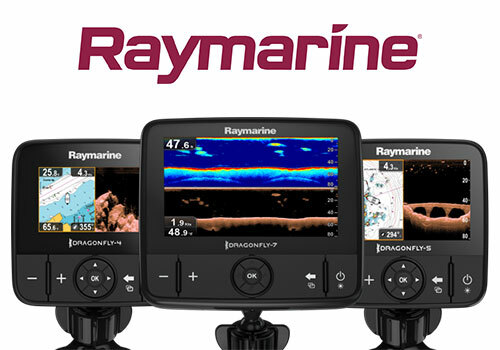 There are also many options for fishermen that don’t enjoy fishing in colder water. No, I’m not talking about boarding a plane and flying somewhere warm. I’m talking about checking the schedule for the February boat, fishing and outdoor shows, fishing school and fishing seminars that are popular across North Carolina. These can be a lot of fun, help pass the time, stoke the fires for some new tackle or a new boat and help with some new tactics for showing more fish the inside of your cooler once spring arrives. There are differences in the shows. Boat shows feature boats. 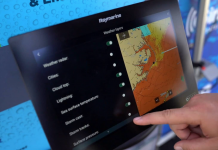 They will typically also have accessory booths and maybe a few fishing booths, but boat shows dedicate the majority of their space to dealers displaying the latest in shiny gel coat, aluminum and plastic. Fishing kayaks and SUPs have also become very popular and many dealers display them at boat shows. Fishing shows or expos are designed for fishermen and highlight fishing. There will be some boats and boating accessories, but most of the floor space will be for booths of fishing tackle, rods and reels, and fishing accessories. 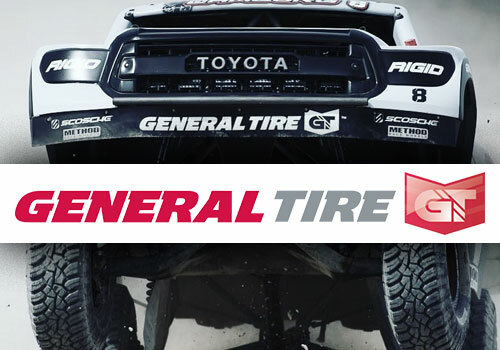 There is a mixture of new products and excellent deals on remaining 2018 stock and closeouts. Most fishing shows also include seminars featuring a mixture of nationally recognized fishermen and local experts. Outdoor shows and expos combine all outdoor sports. Most are heavy with booths of equipment and there are deals for savvy shoppers. There will be fishing, plus hunting, hiking, camping, mountain bikes, rock climbing and more. Some also have boats and kayaks, four-wheelers and more. Most outdoor shows include seminars from experts on all the sports represented. There are also stand-alone fishing schools and seminars. These may well be the most thorough of the many attempts to develop better fishing results. Attending one of these can help beginning fishermen flatten the fishing learning curve and help experienced fishermen by suggesting new tactics and techniques or simply fine-tuning existing fishing methods. They are definitely better than sitting in your shop or man cave and watching fishing on TV. I participate in many shows, schools, and seminars across the southeast each winter and really enjoy it. I get to see old friends, meet new friends and talk fishing. 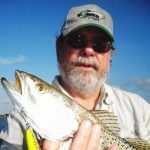 Many times I learn something too – someone asks a question I haven’t considered or mentions a fishing technique they, their father or grandfather used that isn’t mainstream or well known. My February is lighter than usual this year and I have one Saturday off. It wasn’t that way early, but a schedule shifted and I received a rare free winter Saturday. With this change, all my February events are in North Carolina this winter. 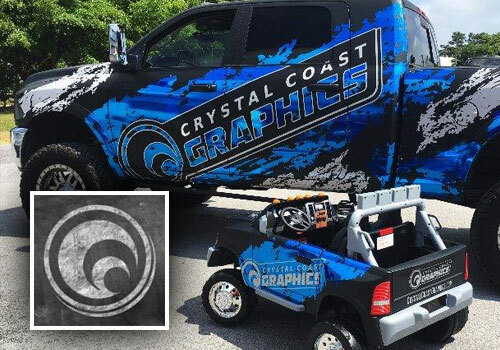 I begin with the Oak Island Parks and Recreation Department 2019 Saltwater Fishing School on February 2 and 9, then have a weekend off before heading to Greensboro for the Central Carolina Boat and Fishing Expo on February 22-24. There will be numerous other shows, fishing schools, fishing seminars and other fishing-related events in the Carolinas during February. The list below is the events known through early March. If one is left out, I apologize, but I didn’t receive a press release or see it listed anywhere. I’ll herald attending these events as a good idea and use of time for boaters, fisherman and other outdoorsmen. Make time to spend a day, or several, visiting at least one show this winter. If winter returns and brings cold, windy and possibly white weather, then it’s an easy decision to enjoy your passion inside with other enthusiasts. However, it’s also a good idea when the weather is nice. All of the shows will have a multitude of displays and sales booths. 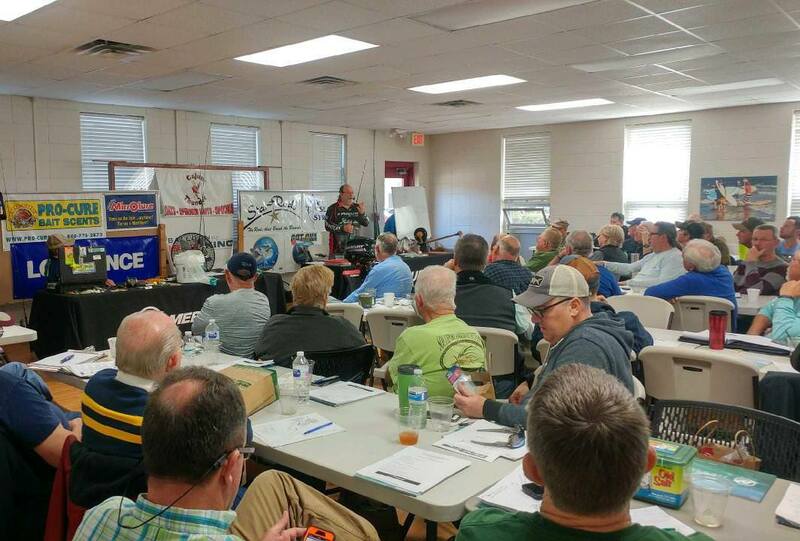 Many also have seminars conducted by national, regional and local experts on fishing, hunting and other aspects of boating and enjoying the outdoors. 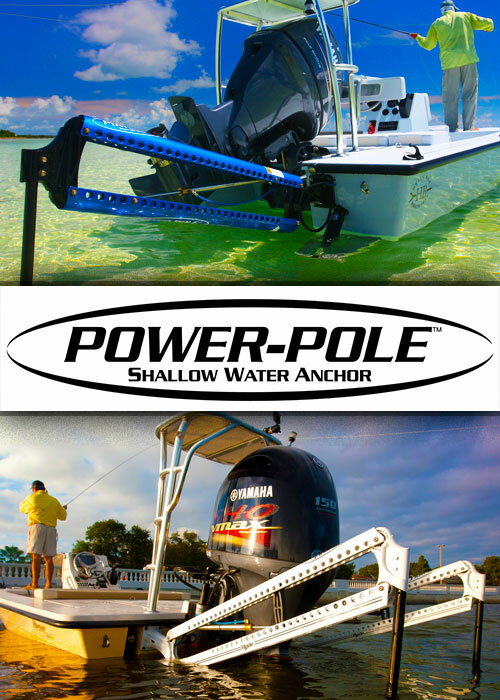 Many boat and tackle dealers bring pro staffers with them and this is another opportunity to informally gain some tips and knowledge. Most pro staffers love to talk fishing, hunting or their outdoor specialty and this is a great way to pick up a few hot tips. There is a plethora of fishing, boating, hunting and outdoor shows across the country each winter and spring. Even if there aren’t seminars, it’s a good way to spend a winter day checking out all the boats, tackle and other shiny objects. The 2019 show season began the first weekend in January and continues wide open through February into March. The list below is the February events in the Carolinas. These are the events that sent information and more might be found with a thorough Google search. They really are good substitutes for fishing or other outdoor pursuits when Old Man Winter is misbehaving. Check the schedule and plan to spend a day or three checking one (or more) out. February 2: Oak Island Parks and Recreation Department Fishing School, Oak Island Recreation Center, Oak Island, https://oakisland.recdesk.com. February 8-10: Raleigh Convention Center Boat Show, Raleigh Convention Center, Raleigh,www.raleighconvention.com. February 8-10: Columbia Boat Show, South Carolina State Fairgrounds, Columbia, www.columbiaboatshow.com. February 9: Oak Island Parks and Recreation Department Fishing School, Oak Island Recreation Center, Oak Island, https://oakisland.recdesk.com. February 9: Fisherman’s Post Fishing School, Coastline Convention Center, Wilmington, www.fishermanspost.com. February 13-17: National Wild Turkey Federation 42nd Annual Convention & Sport Show, Gaylord Opryland Hotel, Nashville, Tennessee, www.nwtf.org/convention. 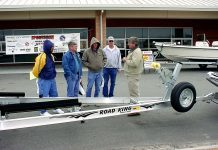 February 22-24: Central Carolina Boat and Fishing Expo, Greensboro Coliseum Complex, Greensboro, www.ncboatshows.com. 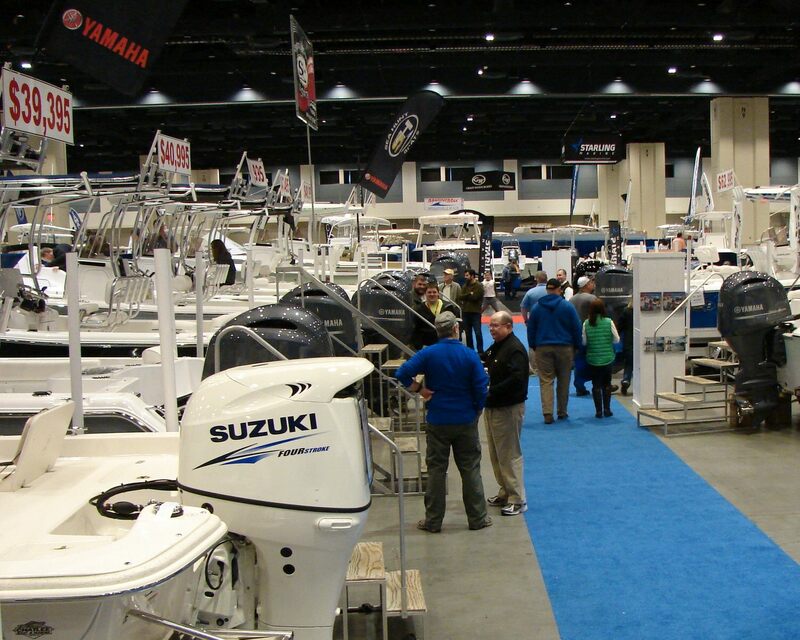 February 22-24: Eastern North Carolina Boat Sale, Greenville Convention Center, Greenville, www.encboatsale.com. February 23: Fisherman’s Post Fishing School, Crystal Coast Convention Center, Morehead City, www.fishermanspost.com. February 23: Inshore Institute, Pamlico County Community College, Bayboro, www.neuseriverfishing.com. March 1-3: Dixie Deer Classic, N.C. State Fairgrounds, Raleigh, www.dixiedeerclassic.org. March 2: Sandy Bottom Volunteer Fire & Rescue Sportsman’s Giveaway, Lenoir County Livestock Arena, Kinston, 910-296-1999. March 5: NC Wildlife Resources Commission and National Wild Turkey Federation Turkey Hunting Seminar, Craven County Extension Center, New Bern, www.ncwildlife.org. March 6: NC Wildlife Resources Commission and National Wild Turkey Federation Turkey Hunting Seminar, Onslow County Extension Center, Jacksonville, www.ncwildlife.org. March 7: NC Wildlife Resources Commission and National Wild Turkey Federation Turkey Hunting Seminar, Forsyth County Extension Center, Winston-Salem, www.ncwildlife.org. March 8-10: Pee Dee Outdoor Classic, Florence Center, Florence, S.C., www.peedeeoutdoorclassic.com. Capt. Jerry Dilsaver has been fishing since he was a child and writing about fishing, hunting and the outdoors since 1986. He is from Southport-Oak Island, N.C. and continues to live there in semi-retirement. His writing features this area prominently, but he has fished and written about the East Coast from Virginia to Florida, the Gulf Coast, California, Alaska and several of the Great Lakes in the U.S., plus several countries in Central America and several Caribbean Islands. 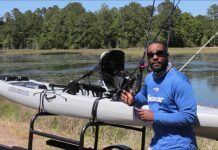 He has been on staff at Carolina Adventure, North Carolina Sportsman and South Carolina Sportsman Magazines and his byline has appeared in several other magazines and newspapers.